NCGA San Joaquin Valley Amateur – champion 1995, 1999 runner up three times. Course record at Tilden is 64…..I shot it the day after you shot 65 also in the Bay Regional. Great resume though…..I am envious. Yes I know, there are many course records under different conditions. I believe I had the course record for a day which still counts as once holding the course record I believe? I love that course! !…and you? Watched you play a little at Whisper Rock the past two years. I was just on the putting green with Gary McCord and a few others this afternoon talking about your great play, but especially about your putting technique and putter. We had some pictures of you playing and putting. We all tried to side-saddle a long putter. Would you elaborate about both your technique and the putter. As to the putter, was it built as a STX side-saddle putter originally for use as you use it? Did you have to alter it at all to fit the side saddle style? And, is the rule for shaft angle into the putter head, which I believe is 8 degrees? Your putter shaft looked like it was perpendicular, but of course I couldn’t tell from a distance. I’m sure it’s legal, but I wonder what the shaft angle is that you are using and feel is optimal for your FANTASTIC putting skills? I don’t think Randy read this. My fault, since I help him with the blog. Send me an email to rouillardt@verizon.net with your contact info and I will make sure he gets it. I am sure he wants to spread the word of how he side saddle putts. I played with him for years when I was working at Olympic. 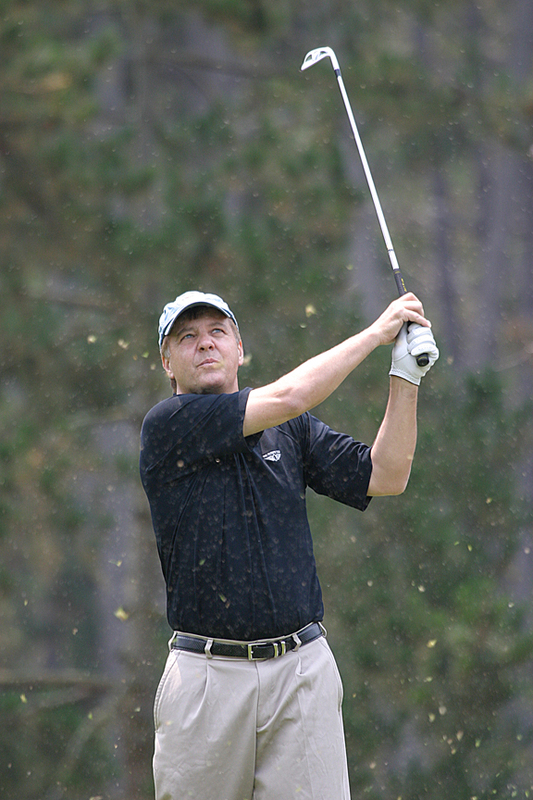 We played in many Pro-Am’s together and have seen miles of putts made first hand. Randolph good site impressive resume, are you gonna give Reinert any love for the reads over the years. Randolph thanks for the great pics of Spyglass can’t wait to play it with you. I have had the chance to play with you when I was a junior golfer in the cal am. qualifier at castlewood cc like 6 years ago. I admire the way you putt and I am convinced that you are a trend setter. If I putt poorly within the next decade or so, I will switch to the Haag face on putting style. 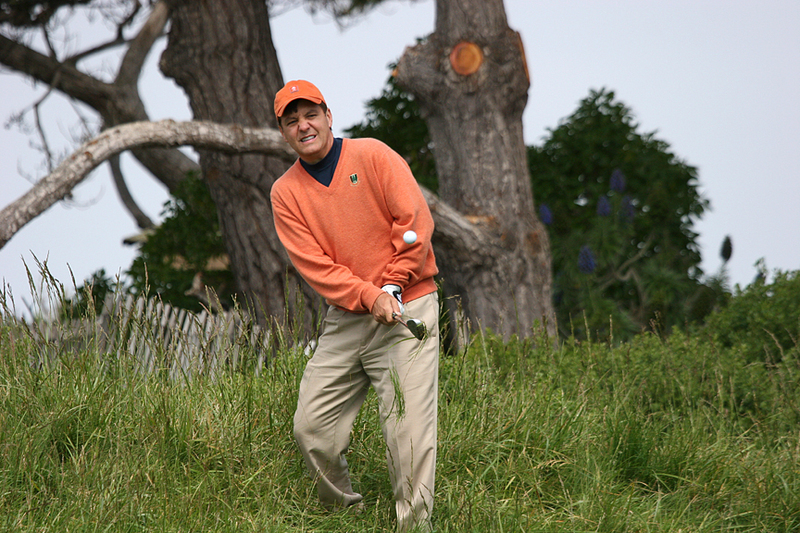 Randy… have you ever scored a double eagle? The Double Eagle Club is having its first golf tournament and I want to invite you to play. I need your contact information to send you the tournament announcement and registration information. I know you have scored a double eagle. The stats regarding it have been lost. Please send me the information surrounding your double eagle so that I may post it on the Club website. I look forward to your reply. go get’um in scotland. USA! Good luck this week!! Enjoy the great course. Congratulations on such a wonderful week and experiencing a Major first hand. Your experiences will carry with you your entire life and and will be there whenever you wonder why you do this. Again, there isn’t a golfer in NorCal that wouldn’t change places with you. Rest up. I expect to see you Aug 2 at Peninsula CC. I actually just got this comment and I wanted to respond and let you know how much I appreciate your comment and all you do for the game. You have allowed guys like me to play in great events at great venues that are run like pro events. Your always the friendly face I look for at each NCGA event!! 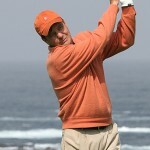 Thanks for following the golf blog, I hope it’s interesting for the followers!! Congratulations on your success… take the championship!! Please share the golf blog with friends and family if you feel they would enjoy it!! Randy. Where is the video from the USGA Mens State Team Championship? It’s posted in the archives of the previous posts titled US States team. Let me know if you have any trouble finding it?? Bad yardage…..give me another number Fluff. Hunter Nelson and I finished 2nd in Senior division.God willing we will be back next year. Thanks for getting back to me with the info. Where do I send the invitation regarding the Club tournament in October 2012? I have enjoyed your posts covering the U.S. Open… well done! As a miramonte grad living here in the Milwaukee area, I hope you enjoy the course and win the tourney. Let me know if you need any local knowledge off the course. I enjoyed reading your blog. If you ever get to St. Louis, I would love for you to join me for a round at Bellerive. Good luck with future tournaments. just reading thru your blog randy, work and caddie at turnberry. would like to say welcome and have a great week. my name is cruickie. So great to hear from you Tommy, and yes its been a long time! With the new rules in anchored putting, I think side saddle putting will become more popular over time. I use an old STK side saddle putter, which works quite well. Seems like just yesterday when I was at SDSU seeing you at La Costa, what great days those were!! Happy Holidays and all the best to you Tommy!! Congratulations on your truly admirable golfing accomplishments. As for side saddle putting, I have not been able to find this style putter at our local retail outlet stores. I would appreciate any information you can provide me on where to buy a good quality side saddle putter, or source for components? What type putter do you use? What style and name of stx? What clubs do you currently play? I used to use a Jack Koski “So Easy” home made putter, very nice. Until I discovered the STX side saddle putter they made a long time ago. Can still get them occasionally on Ebay. I use the soft black face on it, great for fast greens!!! 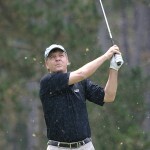 I’m interested in getting a review of my http://www.punchbowlgolf.com on Randy Haag’s Golf Blog. I am willing to pay.I was wondering if that is something that you would be interested in? I can provide the content if you like. If you don’t normally do reviews, I would consider sponsoring your website with a banner and link, or cross promotion. I am thinking about going face-on putting and inspired by your success. What type of putter d you use and recommend ? It is a great way to putt, and I personally like the STX Side Saddle putter. You can usually find them on Ebay. Good luck and let me know how it goes!! Randy – love the theory and logic of face-on putting. Been looking at a couple putters online but am unsure of length. I’m 5′ 11 and they reco 46 or 48″ long. That puts the left arm at an angle. Your method (which seems more intuitive and seems to work!) seems to favor left arm parallel to ground and a shorter putter. – when you stand tall how far up does putter come? Navel like belly putter? Seems that maybe 4″ above navel may be best. 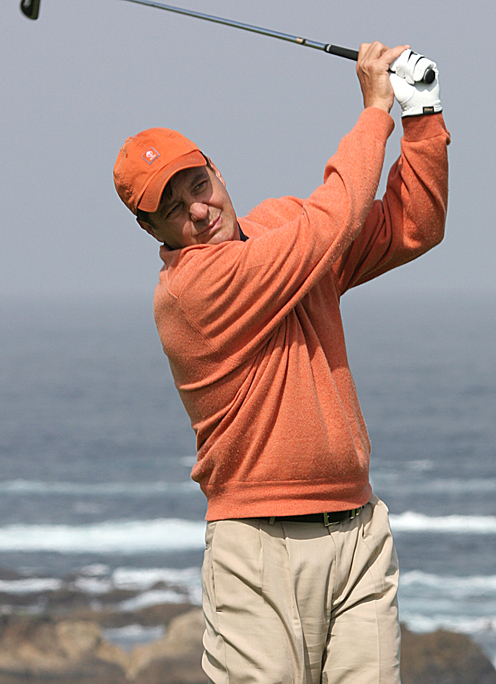 Did you play in the 2010 Senior British Open in Carnoustie, Scotland? If so, did you finish as highest amateur? If that is the case, do you remember that your drives on 14 and 15 went right, in the rough? I stood right behind you at the tee box and noticed that you lined up your feet to the right while the rest was lined up correctly. I asked your caddie if you always lined up your feet to the right? He didn’t know and told you what I said, you then lined up your feet better on the next hole, looked back, I nodded, you made the shot and the ball went straight as anything. Hole 17 and 18 went straight as well. I don’t recall that you actually were the highest amateur,but I really do hope so. Impressive resume, by the way! You are absolutely correct, wow that is impressive, my tendency is to have my feet aim right and that’s what I miss it to the right. Fortunately I was the only amateur to make the cut, so I was the silver medal recipient. The tournament is again at Carnoustie next year, I hope to repeat!!! I met through my business partner James Hay. I have a public golf marketing platform (alpha) we’re getting ready begin funding demonstrations. Are you still in the VC business? I am launching a golf community crowdfunding site soon, perhaps there is some synergies here? I was wondering if you have ever had the chance to put with the GP putter? Not yet, but will review it in the future!! I just sent my friend Matt Venturi a copy of your comment to me, and we’ll see what he says!! Perhaps that will unlock the mystery!! Hi Randy. Should I forward a couple of images of the Bullseye to you from my phone via your email or? Thanks for letting me know! Thanks very much Randy. I can provide an image of the stamping if that would help. I appreciate your taking the time to help with this! Mr Haag, I am 5′ 7″ how long should the shaft be be on my putter? Very proud of the way you played and maintained composure at Seminole this week at the Coleman. -2 in the final round was outstanding and the 72 on Friday could have been 68 without a doubt. Be well and always be your own best supporter/fan on the course. As a player I know full well how hard it is to not be tough on myself when I’m not playing up to snuff. I believe firmly that our best inner golfer emerges only when we accept the mistakes/poor outcomes and rally silently from within. You da man and it was an absolute pleasure carrying your sticks. Brian my man, it made the event more enjoyable having you there with me! I hope all is good with you, and thanks for reading my blog!! Thanks for your blog, your skill, tenure, and love of the game. What a game! Thank you for being a guide related to side saddle putting. I plan to switch to side saddle putting. I have suffered enough, and do not have the time to dedicate the many hours, days, weeks, months, and years to learn how to effectively putt the the traditional way. My two eyes do not work together with that style of putting – from identifying the line and path at some distance using one eye, and then standing over the ball to execute the line and putt with the other eye. Binocular vision surely will help in putting it all together for a consistent path and stroke. I have read, listened to, or viewed all that I can find online by you regarding side saddle putting. Thank you for doing this! It has been very helpful. There is not a whole lot out there. I am curious from your experience what you think the ideal width of a side saddle putter head might be. For example, Cure Putters – RX Series – has a center shaft lie angle putter adjustable from 62 to 80 degrees, @ 1.5 degrees of loft, with a series of adjustable weights, ranging for personal fitting from 361 – 615 grams to promote stability and increase MOI. Given these specs and the wide range of adjustability, based on my research, this putter seems to be “on point” for a side saddle putter. Besides However, the putter is 5.5 inches in width. In addition to your reviews on side saddle putters (Thank You! ), I have looked at other possibilities – the Inazone Hefty Side Saddle putter, and also the Holloway series of Side Saddle putters. Is my assessment accurate as far as what one would look for in a side saddle putter (besides length fit to height – 40 inch +- range)? What width range in a putter head would you recommend in order to give one the best possibility for proper set up and consistent swing path? Thank you for your kind words and for reading my blog. To answer your question, it all is really personal preference with the size of the putter head, and the length of the putter. I am 6 feet tall and use a 43″ side saddle putter (STX). Did you see my review on most of the putters available? Stay in touch and let me know how you are doing and what I can do to help you!! Thanks for your reply. I have read your reviews on the side saddle putters, and have seen the videos on many of them as well. They were very helpful. I was able to purchase an original 43.5 inch STX putter on eBay, and it is on its way to me now. From the photos it appears to have the more upright lie angle closer to 80 degrees rather than 70-71. It has the green elastomer face (firm option) insert which is in excellent shape. Some questions: Have you replaced the inserts on your putter or changed them out? If so, where did you get them? I suppose one could buy identical putters to secure the various face options. I guess that would be worth doing if that would improve the ball’s MOI on face contact, and consistency of roll in putting. However, on the other hand, it would seem that one could, with enough practice, learn how to consistently putt with whatever insert is on the putter. This appears to be an easier option that would not change the “feel” of impact and the length of the stroke given green speed. Regardless of what color the insert is, I understand that one must have a consistent, stable, stationary pendulum stroke along with the ingrained associated “feels” and length of stroke to strike the ball to track on a chosen line for a specific distance. What do you think about changing out the inserts? Is this worth consideration? I will post again soon to update on how things are going with this “new” method and putter. Randy, I am a 10 hdcp w serious putting woes. I do not have the yips but just am a poor putter. I’ve taken many a lesson from terrific pros but to no avail. Hence, I’m thinking side saddle. I am 6’4″ so any advice you can give me as to length, manufacturer and where to pick one up inexpensively in order to give it a go would be most appreciated. Thank you.